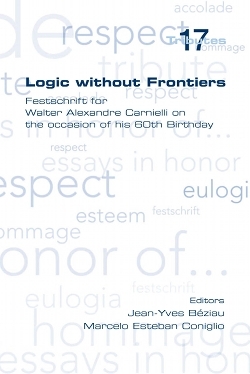 This volume is dedicated to a distinguished logician, Walter Alexandre Carnielli, celebrating his 60th birthday. The honoree's contributions to contemporary logic range from innovative tableaux techniques, to the development of the foundations and applications of paraconsistent logics, to the invention of creative semantical apparatus. In this book the reader will find brilliant contributions by prominent logicians and philosophers that discourse over a broad repertoire of topics related to the outstanding work of Walter Carnielli.